While shopping on the Babyletto site yesterday, I was instantly excited to see that they’ve recently launched a new product. And when I tell you it’s gorgeous, I mean it! 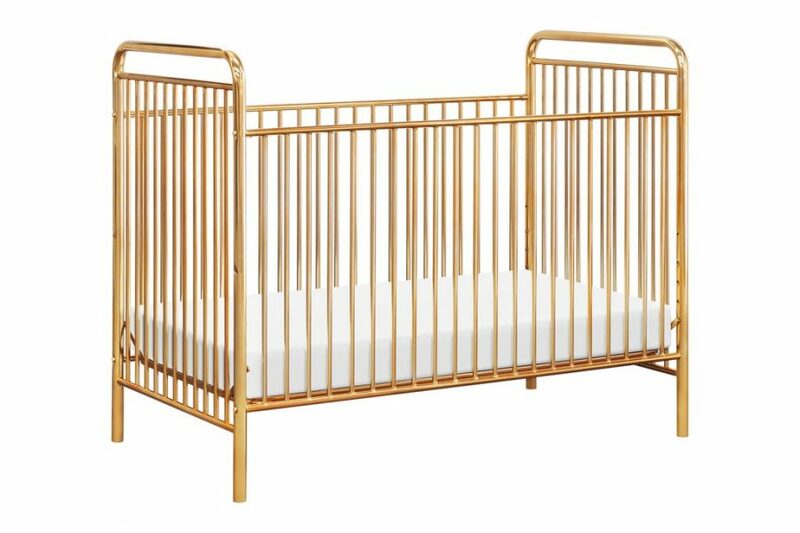 The Babyletto Jubilee Crib is a modern take on a vintage style. It is a beautiful gold color, that definitely makes a statement in any nursery! I also love that it’s a 3-In-1 convertible crib, meaning that it’ll transform into a toddler bed, then a day bed, with the simple use of a conversion kit. That means it’s here to stay and be useful to your little one for years to come! 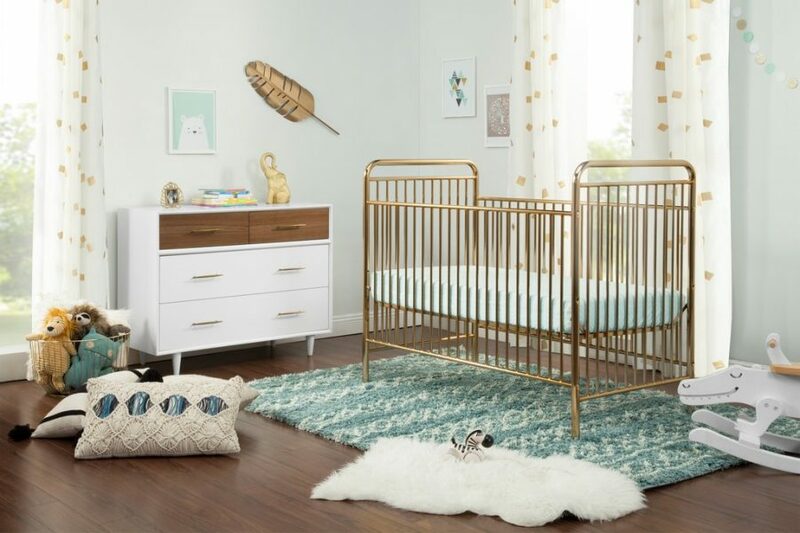 We’ve rounded up some accessories that would look great in a nursery with this crib! Into this crib style? If you’d love help with your nursery design, feel free to check out our services!